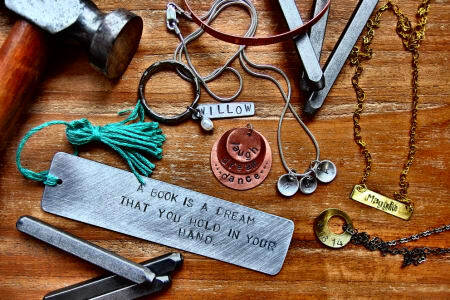 All the workshops offered are short and sweet - 3 hrs to a full day - with each workshop focusing on different aspects and skills for you to build upon and walking away adorning your own handcrafted jewellery by the end of each session. 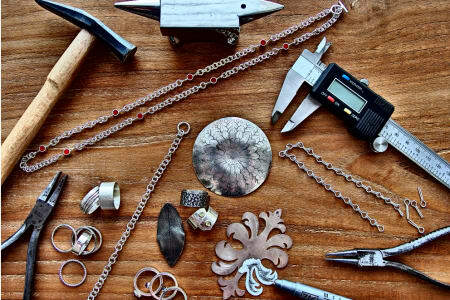 The majority of the workshops are beginner based and no experience is necessary. Each class is limited to a max of 5 people allowing plenty of opportunity for individual attention and a comfortable working space. Such a fantastic experience with my sister and nieces for their 18th birthday. Such fun, laughter, learning and sharing with the most beautiful long lasting memory of the day. Stacking rings we all wear everyday. Highly recommended a workshop for yourself or an extra special gift for someone you love. A lovely way to spend a Saturday morning! Arden welcomed us warmly into her beautiful studio and was a knowledgeable and helpful teacher, happy to answer the many questions we had. 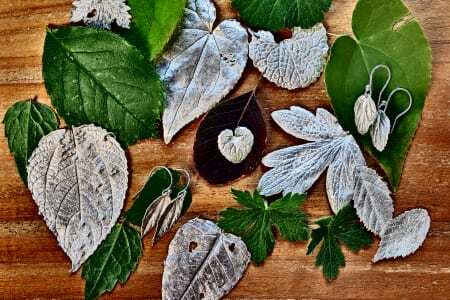 The processes involved to make our silver leaves were simple but the end result was impressive and unique! 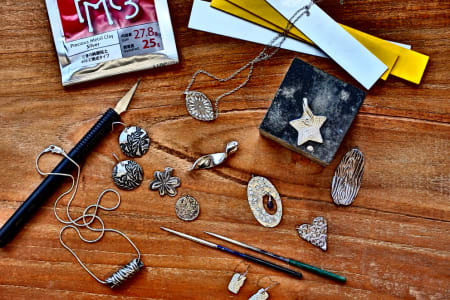 It was a really well spent morning, creating beautiful and delicate pendants with Arden's help. This is the best way to spend a few hours being creative even if you are not! Thoroughly enjoyable and entertaining. The things I have managed to produce from these classes have been beautiful. Lots of nice comments but above all so enjoyable. Arden is so patient and helpful. I can totally destress while I am there . I have made some lovely unique presents for family members. 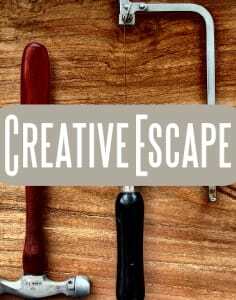 Can't recommend creative escape enough! Easy to find and plenty of parking too. 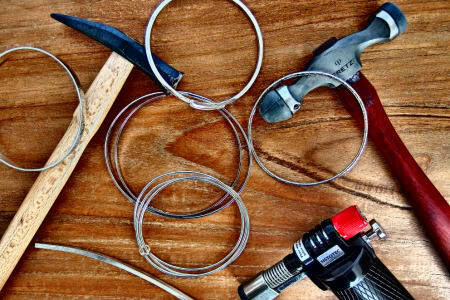 Spent a lovely morning in the studio with Arden making a silver ring. Arden was welcoming and spent time explaining the technique, showing us first and then helping as and when needed. We could choose the style of ring and the best thing is that when finished it is a perfect fit!Excellent venue with all the tools that you need, books and samples of pieces available to give inspiration and plenty of tea/coffee on hand. Would definitely recommend to anyone. This workshop was awesome! Arden was clear and concise a perfect teacher, giving us the right amount of information and letting us loose to go for it. I would thoroughly recommend this workshop. The class was absolutely fantastic! Arden really knows her stuff and she only has 5 people attending the workshop at a time, so she is able to really follow your process and help you out. I learned a lot and she even helped me fix a broken ring of my own! I would recommend this class to anyone and I will definitely go back to some of her other workshops! What an amazing workshop! It was superbly organised, with really clear and helpful instruction. The finished rings looked wonderful, thank you Arden! Fantastic! Arden was an excellent teacher, giving enough instruction at each stage for everyone to go at their own pace without overwhelming us with too much information. 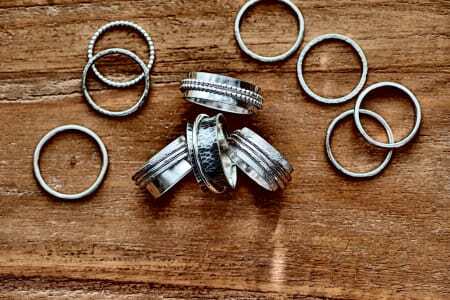 Unlike some other one-day courses, which can feel rushed, the day was really well paced meaning that we all left with a set of rings we were pleased with and had fun in the process. The small class size also made sure that we got plenty of one on one instruction. 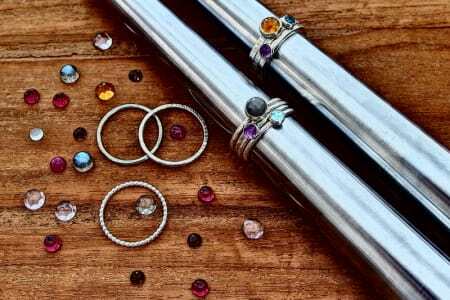 Stacking Rings & Gemstones Setting was a brilliant class - being a small group, we all got individual assistance when needed and could spend our time crafting something truly unique and tailored to individual taste. Highly recommend! This was the latest of several courses I’ve done at Creative Escape. The instructor is extremely knowledgeable, very friendly and helpful and your jewellery with her help always comes out looking amazing. Great value and a great way to spend a few hours. Would thoroughly recommend! Great teacher, all the help and equipment needed, lovely venue, small classes and great sense of achievement with your finished product. Wonderfully patient, very helpful and very friendly Tutor and the Studio has everything that anyone would need to make silver jewellery. I have been on almost all of the Workshops and I can highly recommend them. 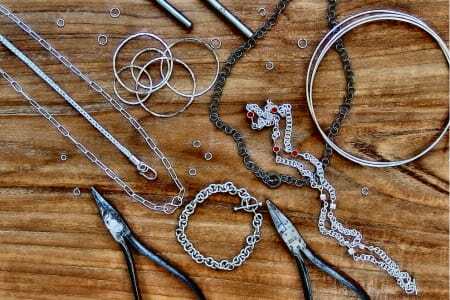 If you have never made silver jewellery before, then this is the place to go to take your first step to try it out. If you do, I am sure that you will go back to try another Workshop. We had a fantastic time making our spinner rings. I was amazed that I could make something so professional-looking on my first attempt! I love it and it’s so much more satisfying wearing something you’ve made yourself. Perfect sized classes in a lovely setting with an excellent teacher. Great workshop space and relaxed atmosphere. Amazing tools and possibilities! Knowledgeable, welcoming and creative tutor showed us the steps in straight forward chunks - the result is a beautiful, unique and personal ring! Loved it can't wait to do more workshops there. 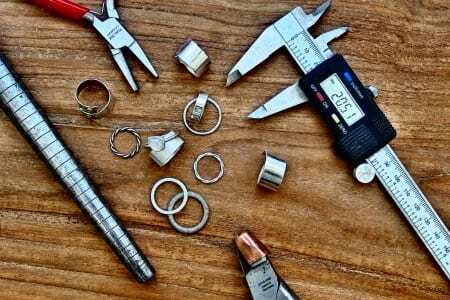 I had such a great time at Spinner Rings learning a new skill and making the most beautiful ring. Arden's studio is really well equipped and is a good size too - she's always on hand to offer her help and expertise. I highly recommend it!! Such a wonderful day out. My boyfriend and I both absolutely loved it. Great teacher and lovely location. We couldn't believe how much we learnt in such a short time! Both our rings are so unique and perfect for our own style. Cannot stop talking about it to all my friends! The class was very enjoyable and learnt a lot. A patient and knowledgeable teacher whose enthusiasm for the craft inspired all of us. Would definitely recommend! The whole venue was just fantastic. 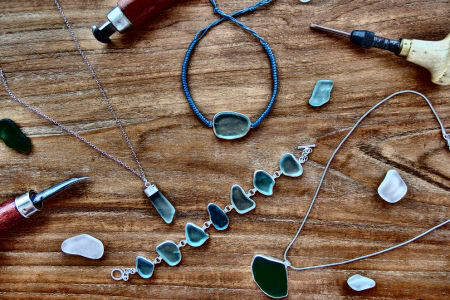 Arden explained very well the tactics of making sea glass jewelry. I really enjoyed it and friends love the earrings I made! I will definitely be back to another course with Arden.